A total 71 of the submitted novels won’t be available to be read by consumers until the autumn publication season. 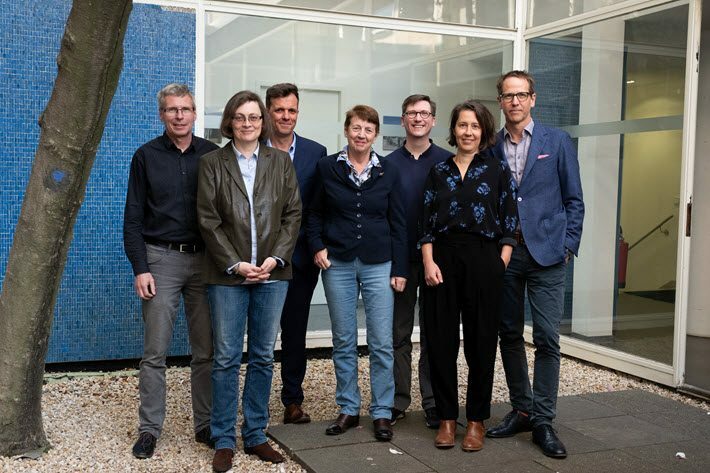 Having named the program’s jurors in February, organizers of the German Book Prize have announced that 105 publishers from Germany, Austria, and Switzerland have made submissions. The Börsenverein des Deutschen Buchhandels—Germany’s publishers and booksellers association—reports that 173 titles have been put into contention for the prestigious honor. The award is to be announced and conferred on October 14 at the Kaisersaal of the Frankfurt Römer, shortly before the Frankfurter Buchmesse (October 16 to 20). Of the publishers placing novels into contention, 77 are based in Germany, 15 in Austria, and 13 in Switzerland. A further breakdown indicates that 84 of the books under consideration are from the publishers’ spring catalogues. Another 71 will become available only in the autumn, and 18 were published last autumn. The rules of the program allow each publisher to propose a maximum of two titles published (or to be published) between October 2018 and September 17, 2019, when the shortlist is to be announced. In addition, publishers are also permitted to recommend up to five additional titles each from their own catalogues. This year, the list of recommendations comprises 104 novels. Jurors may request additional titles from that group if they like. The jury process includes the announcement of a 20-title longlist on August 20 and that six-book shortlist on September 17. The writers of the six novels on the shortlist do know the winner until the evening of October 14 at the award ceremony. The German Book Prize receives funding from the Deutsche Bank Foundation, and additional partners include the Frankfurter Buchmesse and the city of Frankfurt am Main. The television network Deutsche Welle supports the German Book Prize in its media activities both at home and abroad. The program has a site here with more information, and you can follow news of the program through the hashtag #dbp19.